This year, World TB day comes with some encouraging news – the number of TB cases in England have continued to decline, with just under 5,200 cases reported in 2017. This means there has been a 9.3% decrease compared to 2016, and a 38% decrease over the last six years. 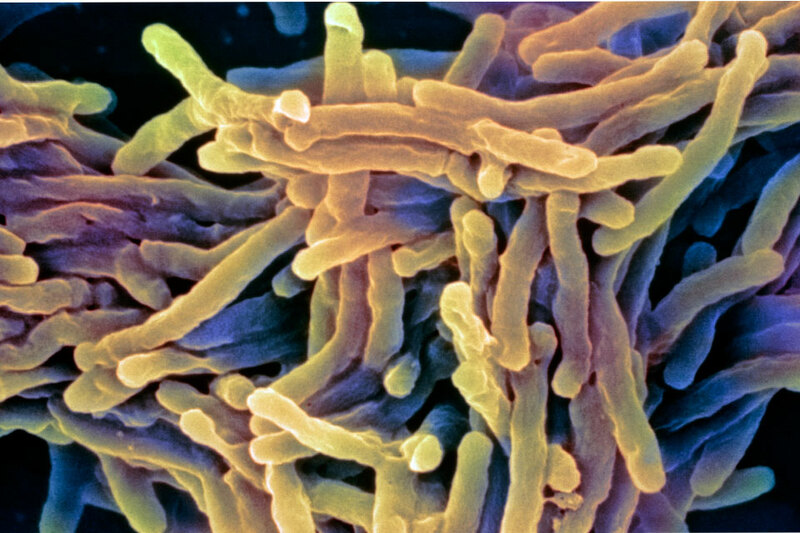 This represents the lowest rate of TB in 35 years. This is testament to the hard work done right across the health and social care sectors, from those in labs to those on the frontline. Whilst we can be positive and hopeful for the future, the fact remains that globally TB is still the number one infectious disease killer, with an estimated 10.4 million new cases and 1.7 million deaths in 2016. It is vital that our work makes the voices of TB communities heard and allows improvements to continue being made in England but also across the world. World TB day is an important event and a chance to make a noise about TB and mark the brilliant progress made, but it is just as much about making people aware of how much more there is to do. TB affects the lives of so many, and impacts on families and communities and wider society, particularly in areas where we see high prevalence of cases. To raise awareness, the World Health Organization and the Stop TB Partnership have launched a campaign to ‘Light up the World for TB’ , which will illuminate public buildings worldwide in red to remind people of the ongoing fight against TB and PHE have been supporting this in England. In terms of ongoing work, despite our successes outlined in our latest report, we must remember that England still has one of the highest rates of TB in Western Europe. 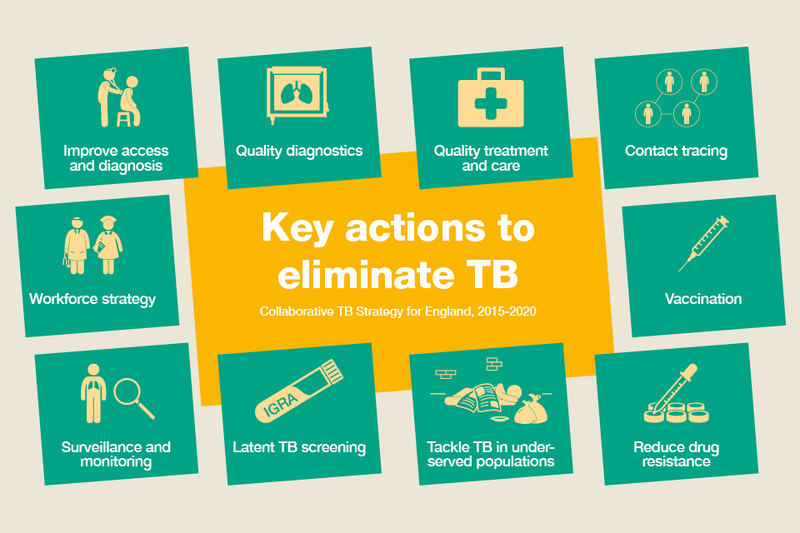 To tackle this, our Collaborative TB Strategy for England, now in its fourth year, is helping to deliver 10 key intervention areas to reduce TB cases and reduce health inequalities. Great progress has been made on a number of these, including providing access to high quality diagnosis through the roll out of Whole Genome Sequencing and tackling TB in deprived populations, which now includes a specific toolkit ‘Tackling TB in Under-Served Populations: A Resource for TB Control Boards and their partner’ and the latent TB infection (LTBI) testing and treatment programme in England. The LTBI programme has made significant progress with almost 30,000 tests undertaken since 2014, but generally testing uptake varies considerably between different areas (between 8.5% and 83.7% in 2017). High uptake is needed to ensure a substantial impact on TB control in England and to help with this, a number of notable interventions have been launched during the last year. TB Alert, together with NHS England and PHE have launched a toolkit to improve the pathway and uptake of LTBI testing and treatment and Clinical Commissioning Groups can now also get technical support to increase their uptake. All the work mentioned above is ultimately about people. It is TB patients and their communities that really matter. A new short animated film has been launched as a health promotion tool to inform people about latent TB. The project was developed by PHE, Queen Mary University of London, In Tune For Life and TB Alert and was funded by NHS England. What makes this animation special is that it was produced with communities, for communities. It has the people who are fighting TB and the wider issues it cases at its heart. Involving people whose lives have been and continue to be impacted by TB is vital to gain better understanding of their experiences with TB. Their involvement also helped to tailor the key messages and people from communities across East London were invited to participate in the design of the animation. It is important to make the point that we are making excellent progress on TB in England, but we must never lose sight of the picture globally and remember that we have much more to do. There is a renewed call to action and PHE is supporting preparations, along with DFID and the Department of Health, for the first ever UN high level meeting on TB this autumn. World leaders will join together at the United Nations in New York to accelerate efforts to end TB worldwide. The high-level meeting should result in an ambitious Political Declaration on TB endorsed by Heads of State that will strengthen action and investments to end TB, saving millions of lives.